Motorized window shades have long been neglected aspect of home and office technology. In recent years, great efforts have been made to make homes and establishments more tech savvy. These days, there are many effective shading solutions available you can choose from. Although blinds and shades with motorized control could cost more than the traditional types, there are significant benefits in choosing motorized shading. In fact, more and more homeowners and business owners are realizing the need for modern window treatments. If people find comfort and convenience in automated lighting system, then window shades with electronic controls would likely do the same. The number one advantage of having motorized shades is convenience. 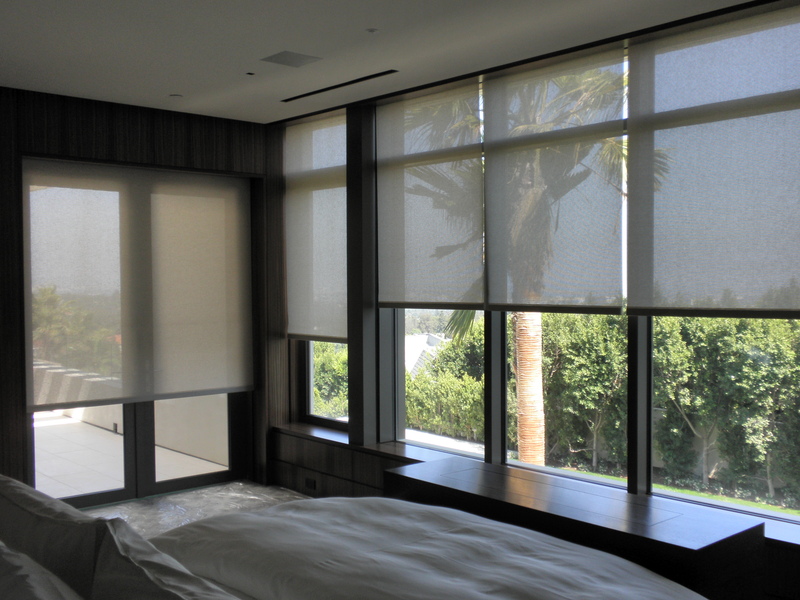 Having this type of system eliminates the physically adjustments of shades to control the amount of light in a room. With just a simple click on the remote control, you can regulate the level of light you need. 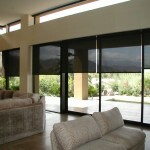 Using a remote control is quite standard with these types of modern shading system. Computerized shading systems are also available. Such are installed to adjust the shades based on the amount of sunlight exposure on the window or based on sun arrival times. Also, motorized shades usually have a thicker roll. They are not subject to the standard length and width limitation. Because of such flexibility, they are popularly utilized among boardrooms and other office tower locations. As most windows in boardrooms and office towers often come in custom sizes, using standard shading is just unsuitable. 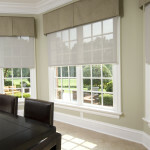 Moreover, window shades with motorized controls are not restricted by the proximity to the ground. This modern type of shading can accommodate very high as well. That’s why many public buildings and large homes are using this type of modern window treatment. There’s just something in modern window treatments that are so sophisticated. Maybe because you will no longer need to tug to get the shades into a specific position you want. Motorizing them brings about fluid movements every time there’s a need to adjust the shades and draperies to the right spot. Everything will just move in perfect alignment at any given time. Another great benefit you can get from modern shading system is savings from utility bills. The heat from sunlight passes through window panes, particularly during summer time. This would make it hard for your air conditioning unit. Preset timers remove the possibility of forgetting to adjust shades during hotter days. The practicality of motorized shading makes energy saving less complicated. Window shade automation would not only protect you from costly monthly utility bills. It can also help deter thieves. Shades moving up and down would make it appear like there’s someone home even when there’s really no one there. Many control systems have a feature that allows the blinds and shades to move in a random pattern instead of predictable times. You can simply set your motorized shading on a timer. Effective shading solutions give you absolute control without having to pull any string. Take advantage of these modern window treatments today.